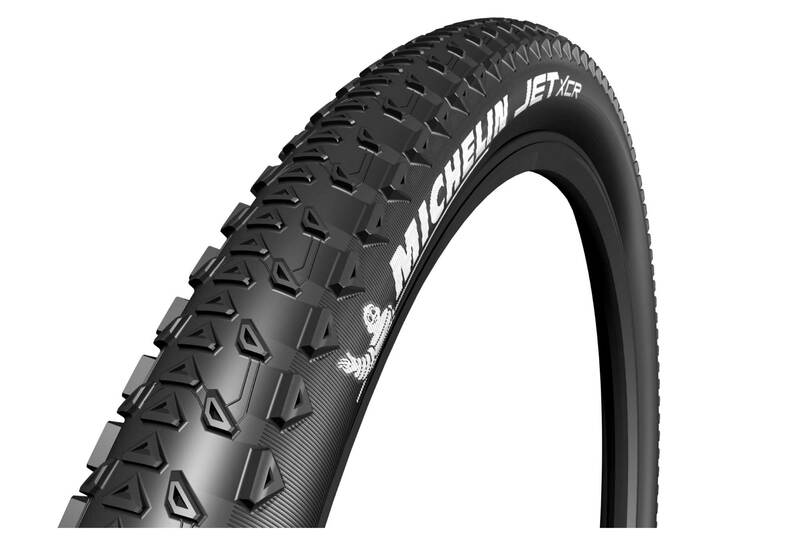 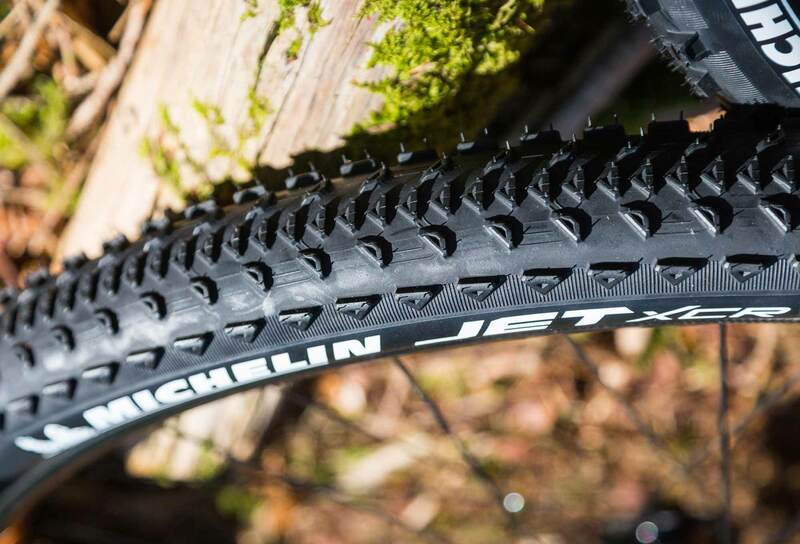 This new cross-country racing tire was developed with Team BH (2016 UCI World Cup Champions). It provides for greater performance and propulsion thanks to its mix of two rubbers. 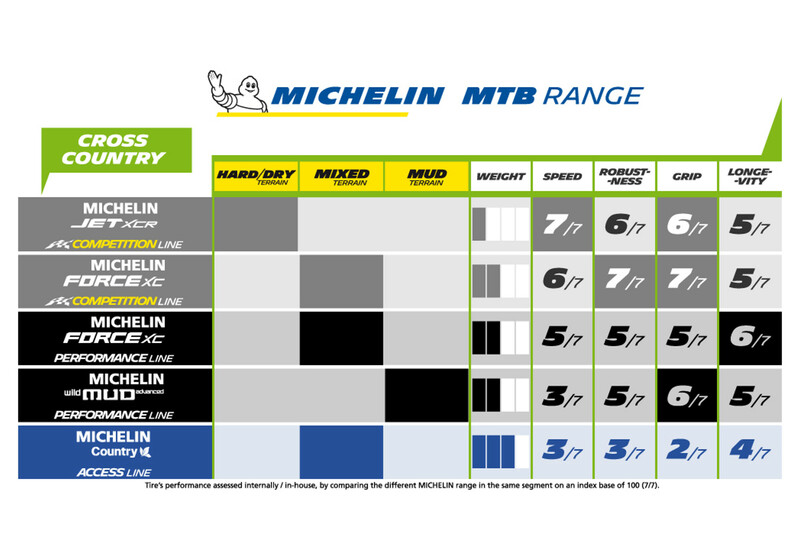 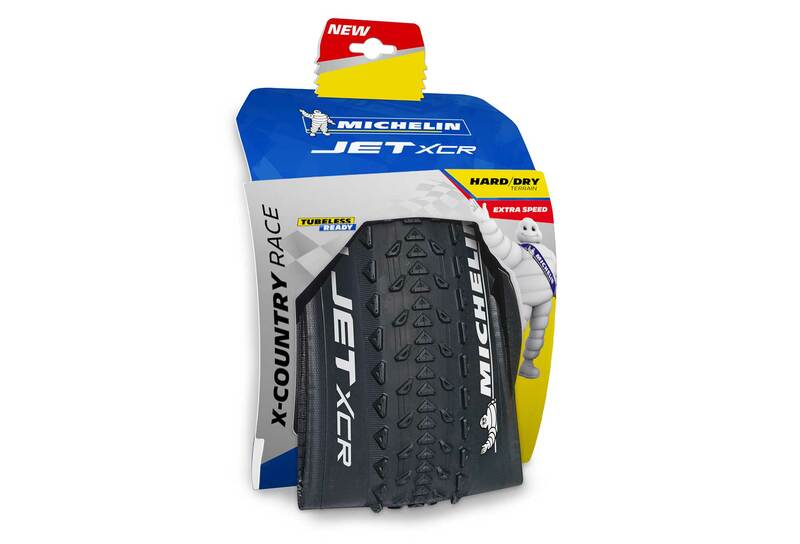 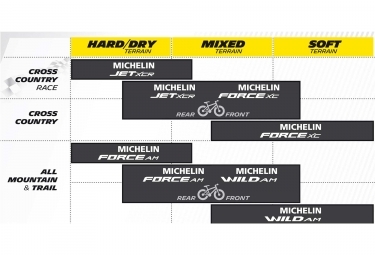 Thanks to its Race Shield Technology, the MICHELIN JET XCR also ensures improved strength and performance. 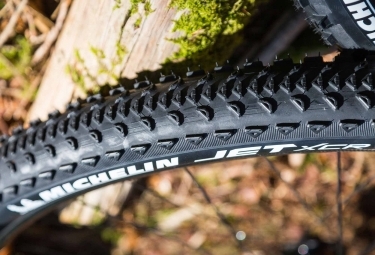 This technology features a super light construction with a 3x150 TPI carcass. 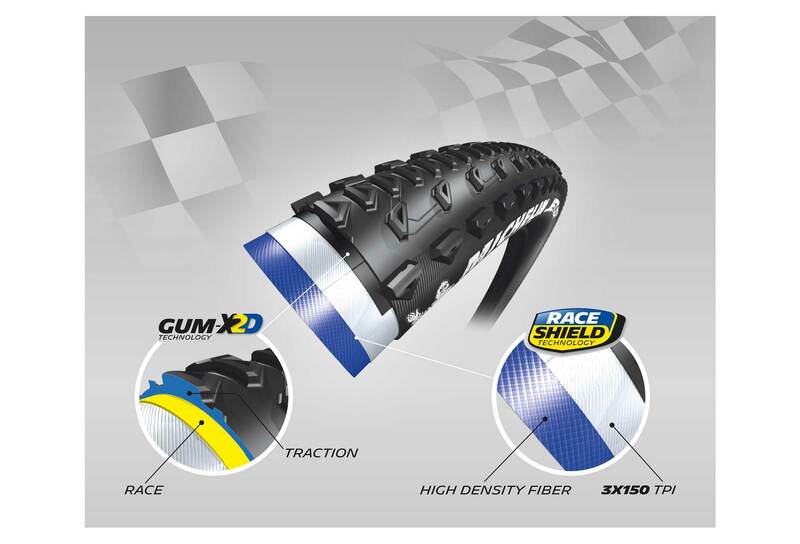 Assembly of 2 different and specific gums, in one tyre..
Race : Directly under layer in conjunction with your pedaling power to ensure maximum efficiency. 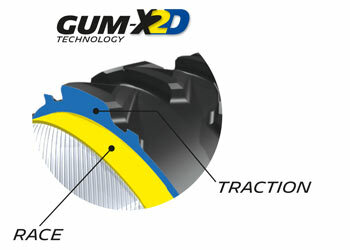 Traction : Outdoor gum to maximize traction without loss of power and ensure excellent braking. 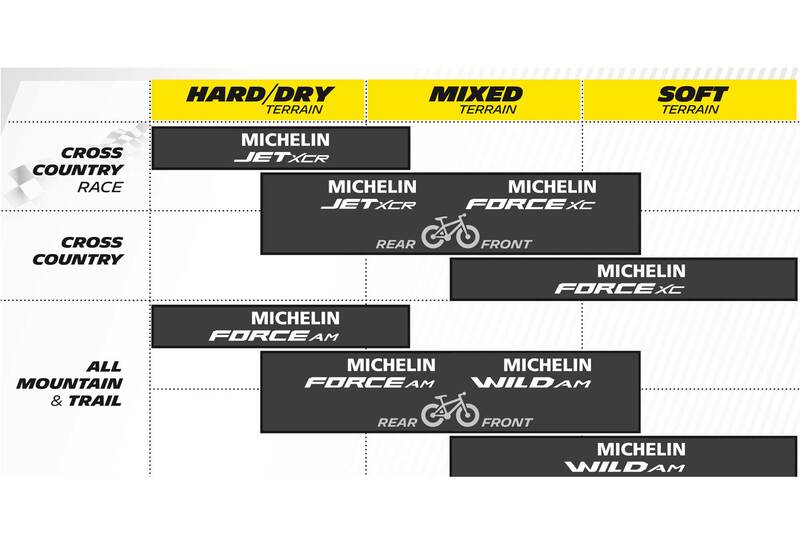 Race Technology for a lighter, faster and robuster product.